This cosy holiday home is located on the first floor of an independent house located in Maslenica. It consists of two bedrooms, a bathroom, a kitchen with dining area and a living room. 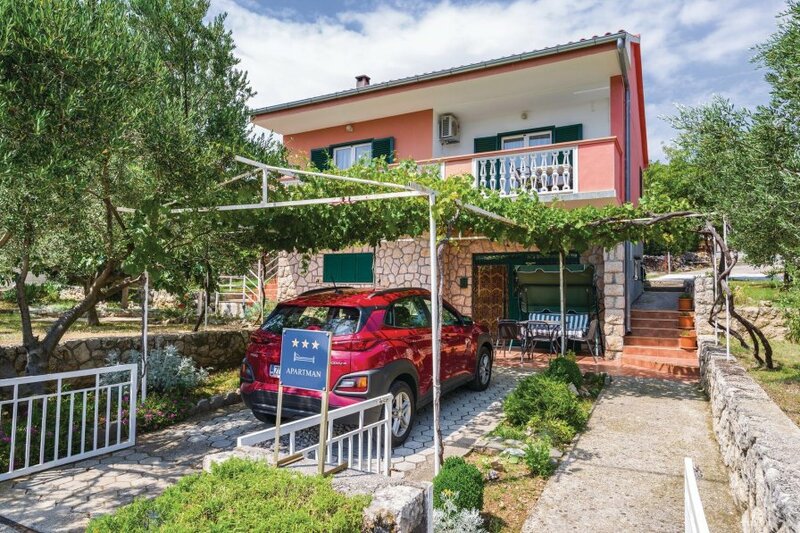 This cosy holiday home is located on the first floor of an independent house located in Maslenica. 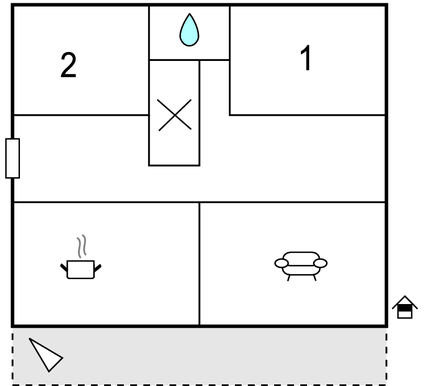 It consists of two bedrooms, a bathroom, a kitchen with dining area and a living room. The balcony offers a great view of the countryside and the sea. Visit the city of Zadar, which is about 33 km away and admire the historical monuments and the modern architecture. Trips to Paklenica National Park, which is 20 km away and the Zrmanje canyon, near Obrovac are highly recommended. This modern apartment is made from brick or stone and was originally built in 2000 and refurbished in 2011. The agent has rated it as a three star property so it is a well-kept apartment, equipped with standard furniture. It is also good value for money. This apartment has sea view and is located in Maslenica, 33km from Zadar. It is set in a good location: there is a restaurant only 300 metres away.